JACK QUINBY AND HIS ALL-STAR BAND is an unforgettable experience. 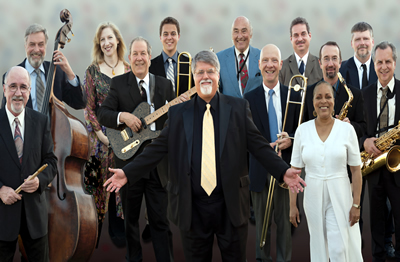 Blending smooth, classy jazz stylings with a swinging, piquant horn band, Jack will give you the favorites of a variety of musical eras. From Fly Me To the Moon (Frank Sinatra) to Rock This Town (Brian Setzer), your audience will be thoroughly entertained by this fresh and energetic presentation. Jack performs with his 9 and 18-pc. band or alone using pre-recorded backing tracks. Featured at the ProSounds Music Festival! The I-5 Brass Band is a seven piece, high energy instrumental group specializing in Funk, Rhythm and Blues, Rock, and Traditional Jazz. If it’s fun and moves, this group plays it. 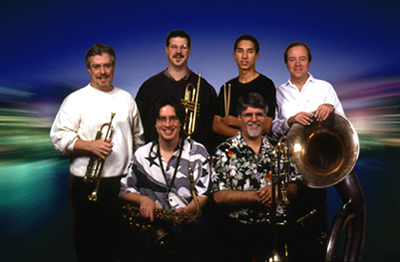 In the “Brass Band tradition”, all instruments are acoustic (no electronics) making this group reminiscent of the “street corner” groups of New Orleans’ Mardi Gras. The I-5 Brass Band is always moving, always rockin’, and always drawing its audience into its performances. Perfect for promotions and festivals. Listen, feel the energy, and you will agree – the I-5 Brass Band “GETS DOWN”! The Broadway Brass has been performing at weddings, graduations, church services, corporate events, and concerts for over twenty-five years. Available as a quintet or as a quartet. 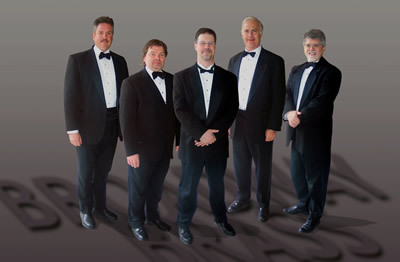 Give your memorable events the distinction and dignity of the Broadway Brass. From the quick and vibrant rags and low-down blues and rambles, to the Sousa marches and swing hits, the unmistakable fun time excitement is all here. The Fun Time band will bring back memories of times past and will introduce audiences to the delightful songs of the good old days. 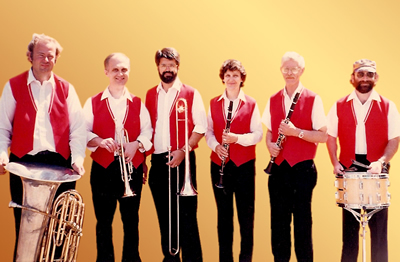 Enjoyed by young and old alike, the Fun Time band will send spirits soaring at any occasion.